If your car has been damaged in an accident, you have likely had the experience of dealing with an insurance adjuster who comes up with an estimate of the parts that need to be repaired or replaced and the value of the mechanic’s time to do the necessary repairs. The dollar value of those parts and repairs, however, is not the same as the value of the damage to your vehicle. When you are in a serious accident, most insurance companies use what is known as the “17c Formula” to determine the loss in value to your car. Those insurance companies will then generally offer compensation that is a function of the 17c Formula’s results. Based on their many years of experience in representing victims of automobile accidents, the attorneys at the Salamati Law Firm in Los Angeles know that the real loss in value to your car after it has been in an accident can be dramatically different that the 17c Formula estimate used by the insurance company. We represent car accident victims to recover the maximum amount of damages for both the loss in the value of their vehicles and the injuries that they suffer as a result of accidents. Start with the car’s value before the accident, as determined by the Kelly Blue Book or some other objective source. The maximum loss in value will be set at an arbitrary 10% of that pre-accident value. For example, if your car was with $15,000 before an accident, an insurer will assume that it will lose no more than 10% of that amount, or $1,500 in value, as a result of the accident. Adjust that maximum loss in value by a multiplier that is set according to the level of structural damage to your car. Moderate structural damage, for example, is assigned a multiplier of 0.5, and that $1,500 maximum loss in value then becomes $750. Adjust that value again by the car’s actual mileage. If the car had 50,000 miles on it, for example, its loss value will be further adjusted by 0.6. The $750 loss in value then reduces to $450. The net of this example is that a car that had a value of $15,000 before the accident will then have an adjusted value of $14,550 after it has been fully repaired. Professional damage appraisers have criticized the 17c Formula as failing to consider flood and fire damage, bumper deflections, accident history, and airbag deployment, all of which can reduce the value of a vehicle that has been in an accident. After an insurance adjuster has estimated the value of repairs and all those repairs have been completed, the car’s real retail value will often be substantially less than the value of a comparable car that has not been in an accident. When your car has been damaged in an accident and you have filed a lawsuit to recover the car’s loss in value from the accident, the negligent party’s insurance company will generally argue that the 17c Formula is the best tool for an objective analysis of the value of the loss. A knowledgeable and experienced car accident attorney will know to reject that argument and will rebut it with a professional appraisal of the loss that is specific to the car. The attorneys at the Salamati Law Firm will fight the low value loss estimates that insurance companies are sure to offer when you have been in an accident in Los Angeles or elsewhere in southern California. 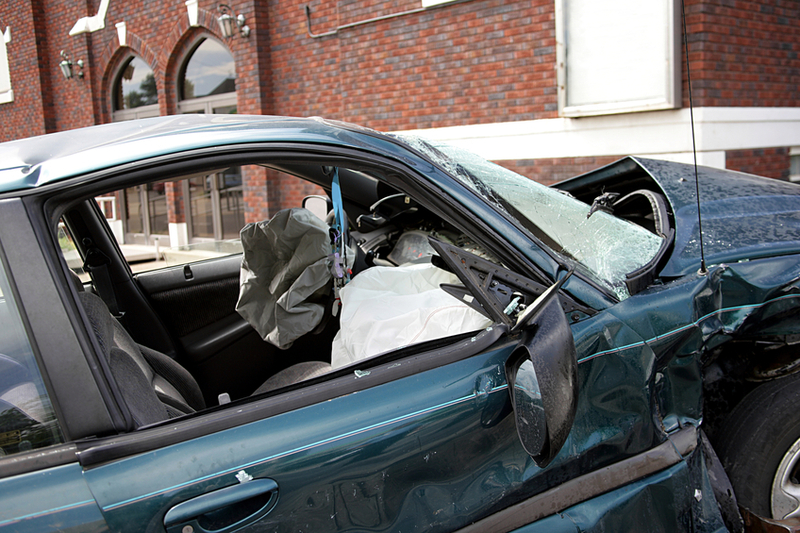 We understand that accidents can and do diminish the value of an automobile to a far greater extent than the insurers will admit. We can help you recover a larger value for that loss as well as the maximum amount that may be available for any injuries you suffered in the accident.